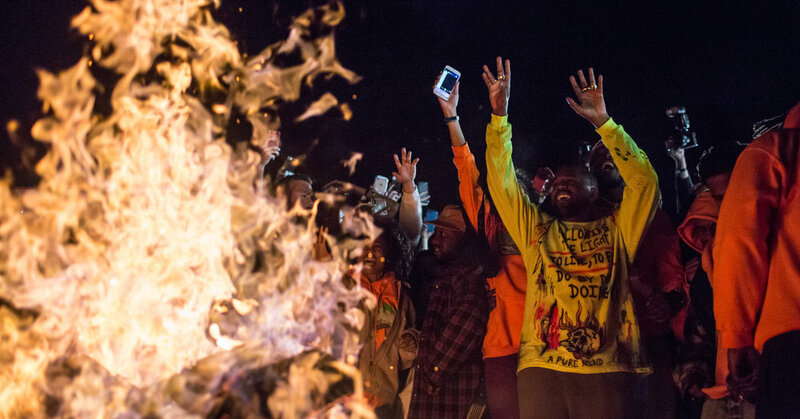 Its been a busy music month for Kanye West with all the album drops he has been involved in and its understandable why he is currently in rest mode after dropping of Teyana Taylor’s album last week. Now in a new lengthy profile with The New York Times, Kanye explained why he actually supports Trump and why he feels he was taken out of context on that hectic TMZ moment. Yeezy also spoke about his slavery comments, as he felt like the world didn’t understand the point that he was trying to make. “I said the idea of sitting in something for 400 years sounds — sounds — like a choice to me, I never said it’s a choice. I never said slavery itself — like being shackled in chains — was a choice,” he says. “That’s why I went from slave to 400 years to mental prison to this and that. If you look at the clip you see the way my mind works.” Kanye said. And with regards to Donald Trump, Kanye’s support of him appears to be more about two friends supporting each other than Kanye endorsing his politics.